Marvel vs. Capcom Infinite’s launch roster has yet to be revealed in full, and many are hoping to see plenty of new characters make their debut in the series. A few hours ago, a trusted source revealed the game’s starting roster, and sadly things don’t look too well. The Marvel vs. Capcom Infinite roster has been leaked by NeoGAF forums member Ryce, who correctly revealed information about the game before official announcements. As previously revealed by Ryce himself, the game won’t feature any X-Men character at launch due to licensing issues. Additionally, one of the Capcom characters has yet to be revealed, but Ryce speculates it’s going to be yet another returning character, Frank West. Even though Ryce has proven to be reliable, we still have to take everything with a grain of salt until an official confirmation comes in. 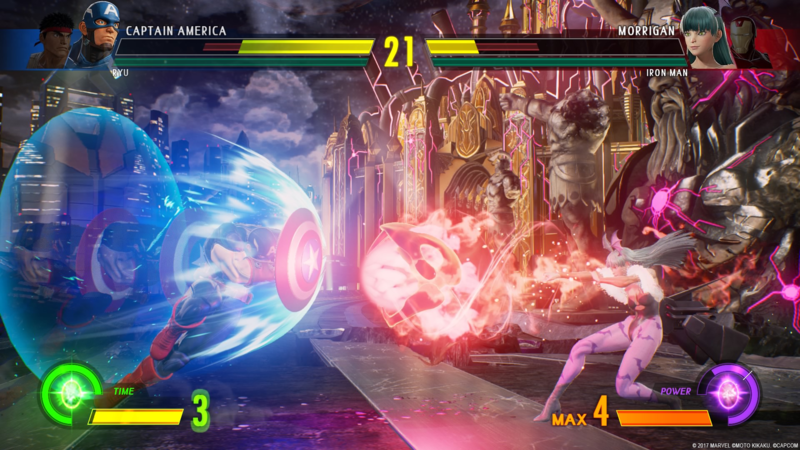 Marvel vs. Capcom Infinite launches this September in all regions on PC, PlayStation 4 and Xbox One. We will keep you updated on the game as soon as more comes in on it, so stay tuned for all the latest news.